Brazilian jiu-jitsu is known as the gentle art. Jiu-jitsu is a form of martial art that was rooted to focus on the smaller, weaker person. One of the founding fathers of Brazilian Jiu-jitsu, started this art focusing on his children. All boys, but particularly one who was the smaller of all the boys and would normally get smashed by his bigger brothers. He met a Japanese jiu-jitsu practitioner who taught them his art and he molded it to help his smaller boy to withstand the bigger boys. This is what evolved into Brazilian Jiu-Jitsu. This man was Helio Gracie, one of the founding fathers of Brazilian Jiu-jitsu, and one of who introduced the art to millions of people around the world. Brazilian Jiu-jitsu is a martial art which uses technique to subdue an opponent with greater size and strength by using less strength and more technique. This is done by using one’s body and maximizing leverage, position as well as your opponent’s to gain control. One can use technique to subdue their opponent without hurting them by establishing a position of control like side control, mount, knee on belly, or by taking their back. From these positions one can continue to submit their opponent by hyper extending their opponent’s arms, legs or other extremities or by choking, just to name a few. In a training environment, the student taps with their hand to let their partner know to stop and continue training without getting hurt. Students find it challenging yet rewarding after training a few weeks in the art. Students also learn the limits of their own bodies which in turn helps them achieve greater goals, surpass previous plateaus and always results in increased confidence. Red River Brazililan Jiu-jitsu is a family owned business. 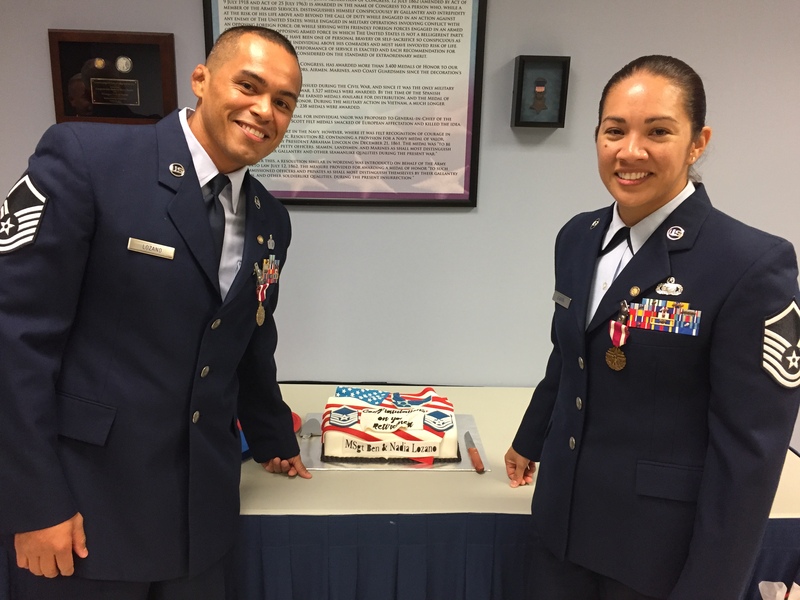 Professor Ben, and Coach Vanessa are the proud owners of this school and both are US Air Force veterans. Professor Ben has been training Brazilian Jiu-Jitsu since 2005 while stationed in Anchorage, Alaska. He started training under Professor Ted Stickel at Gracie Barra, Anchorage, Alaska. 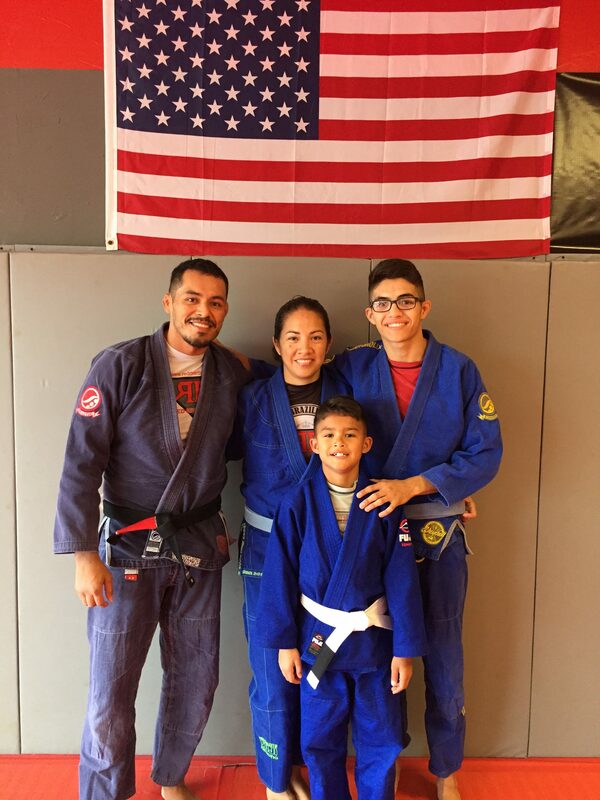 The family moved to Sheppard Air Force Base, Wichita Falls, TX in 2009 and realized there was no Brazilian Jiu-Jitsu schools in the area. They both decided to open the school and share this wonderful art with the community. In 2014, yet another military move sent them both to the Pentagon, Washington DC. Both decided to retire after 20 years of service each, and return to Wichita Falls to run the school full time. Professor Ben is a black belt under Bruno Bastos, Vanessa and Leo (son) are both blue belts and coaches, and Edy (son) is well on his way to become a great coach himself. They are proud to offer martial arts in a family friendly environment for all families to train. They truly love to share their knowledge with the community.